Deadpool Bugle Forums • View topic - Do you like TMNT Figures? Do you like TMNT Figures? Re: Do you like TMNT Figures? Yea, that's one toy I'll never forget. Man, that Turtle-Com looks pretty awesome. Never had that. I had alot of the figures, and a sort of turtle mask that had alot of gadgets on it and such. Also, I believe I had the turtle blimp or something as well. 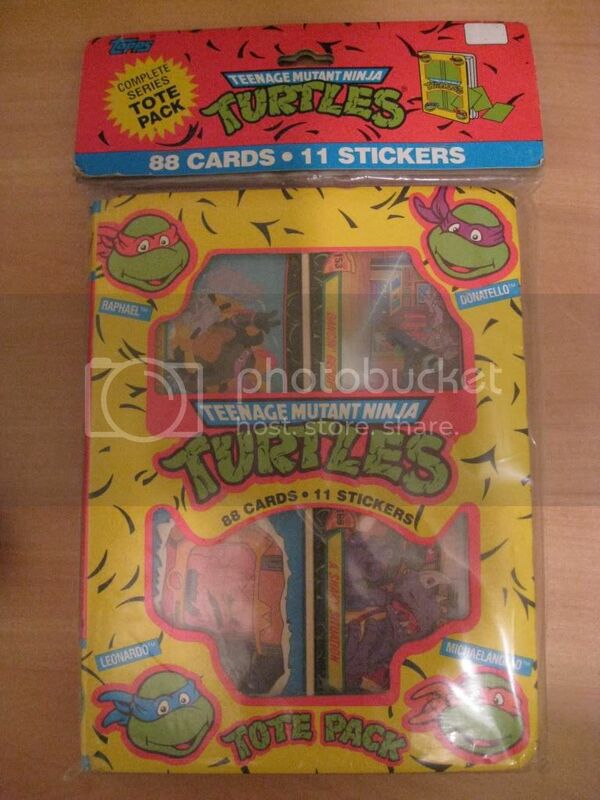 However, the best thing I ever got in regards to TMNT, is this set of complete trading cards. I was 3 years old. Nov 1988. Still got em, never opened. 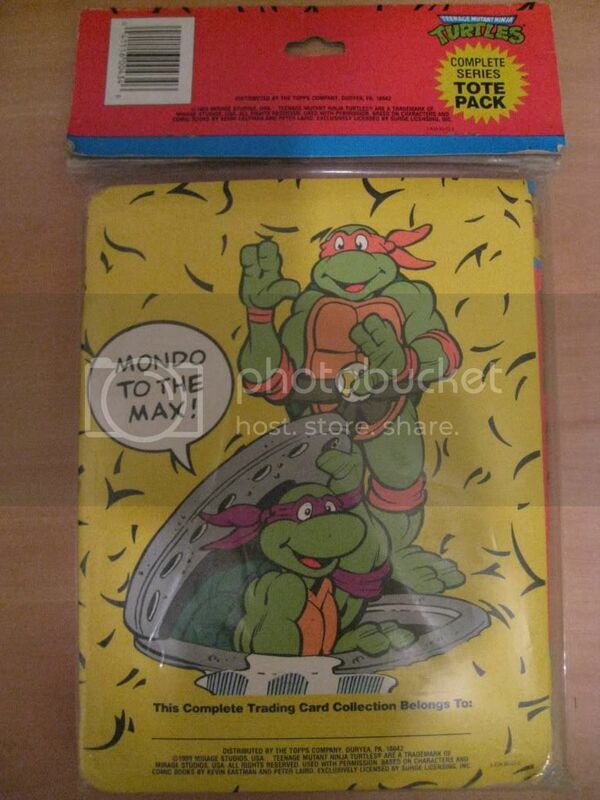 *sigh* My dad often used to bring me new TMNT figures from the AAFES warehouse he worked at. My favorites were Usagi Yojimbo and that robot turtle. Chrome Dome and Rocksteady from the bad guys side. up body parts scattered as if they suffered a MK fatality? 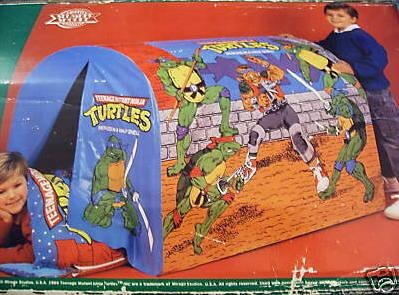 I had one of those turtle coms may still. TMNT was my favorite for a LONG time. And I had that sleeping bag, and a comforter, and a duffle bag filled with the toys lol. Oh my God... I had the Power Ranger tent like that. I LOVED that thing. So many games revolved around using that tent. I'd love to get some TMNT figures...been into them since the 80's but never got any.